Brief Synopsis – Two outlaws decide to join the Texas Rangers in order to continue their crime spree, but find that the life of a lawman also has its rewards. My Take on it – As a fan of the work of Fred MacMurray, I was a bit intrigued to see what this film was all about when I heard that he plays an outlaw here because it seems so different from the kind of roles I was use to seeing his portray. The film itself is a very fun western because it doesn’t always take itself seriously due to the quirkiness of it all. 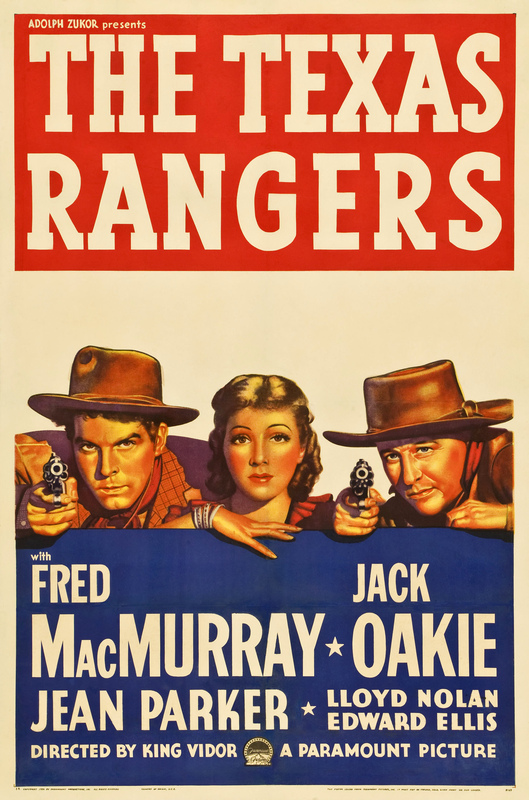 Both MacMurray and Jack Oakie are great in the lead roles and they manage to show why such men would want to join up with the Rangers. The problem is that the script itself quite often calls for the actors to play their roles a bit over the top and things seem too humorous for such a premise. The story works well and they give us lots of reasons as to why the characters act the way they do the entire time. This film was probably appreciated much more when it came out because if the perceived patriotism of the whole plot. After 80+ years tho, the message feels a bit dampened simple due to the way that this is presented. Bottom Line – Fun film that is a bit quirky yet still manages to get its point across quite well. MacMurray and Oakie are great as the leads even when the script calls for them to be very over the top in their performances. The story works well and its easy to understand the reasons for why the characters act the way they do. This might have felt much more of a patriotic film when it came out even if today that message feels a bit damper from the way this is presented. Recommended!